A few days back this phone obviously caught my attention on both Dannychoo.com and sankakucomplex.com. 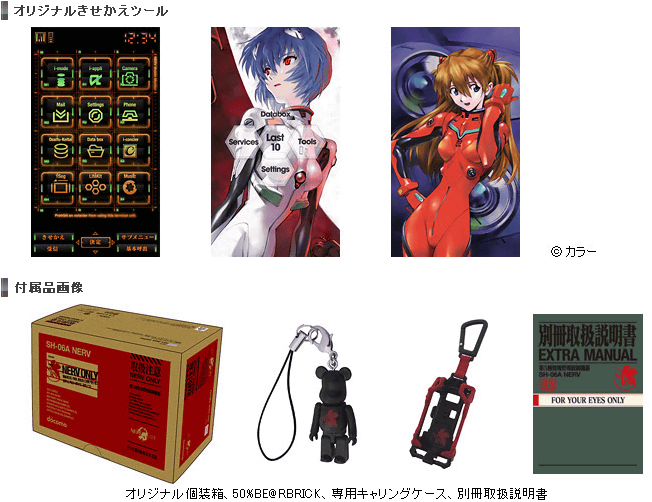 In celebration of the Evangelion: 2.0 You Can (Not) Advance anime movie, this phone has a semi-old school look but matches perfectly to all that is Eva. 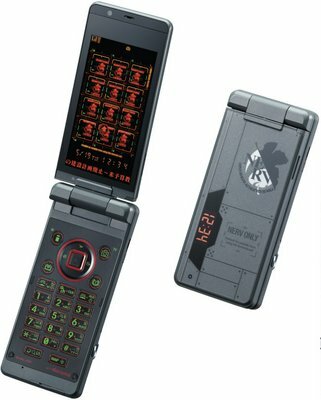 The phone will be created by NTT Docomo and is dubbed the "SH-06A NERV"
If I can also grab some for the store to sell, I will as well. any idea on how to get this phone?